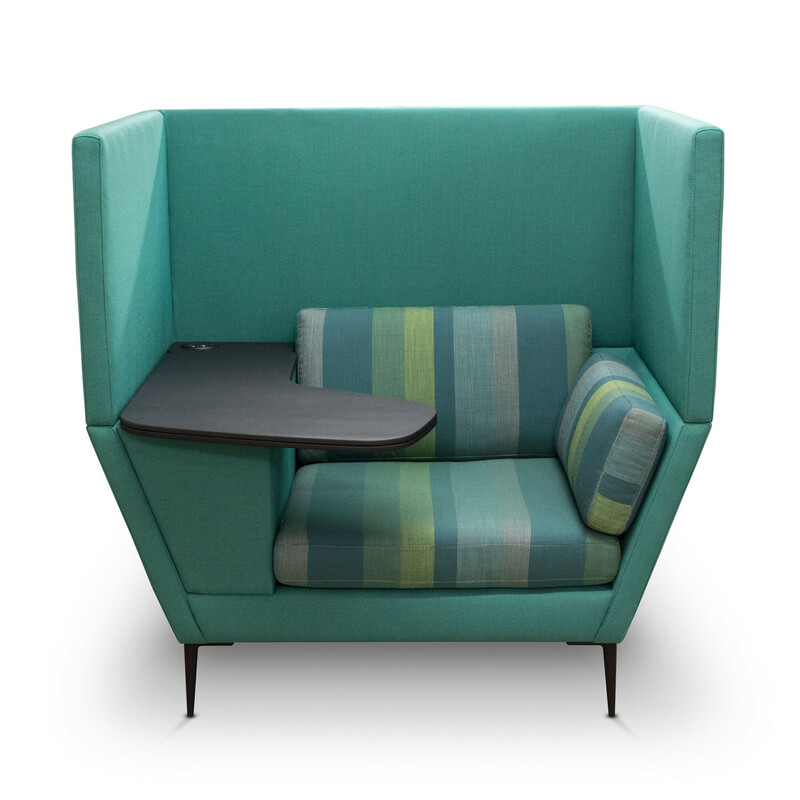 Quiet Workstation Armchair is a clever adaptation of a high back privacy armchair, with the addition of a Workstation that provides the additional features of a writing surface, hidden storage, and power. 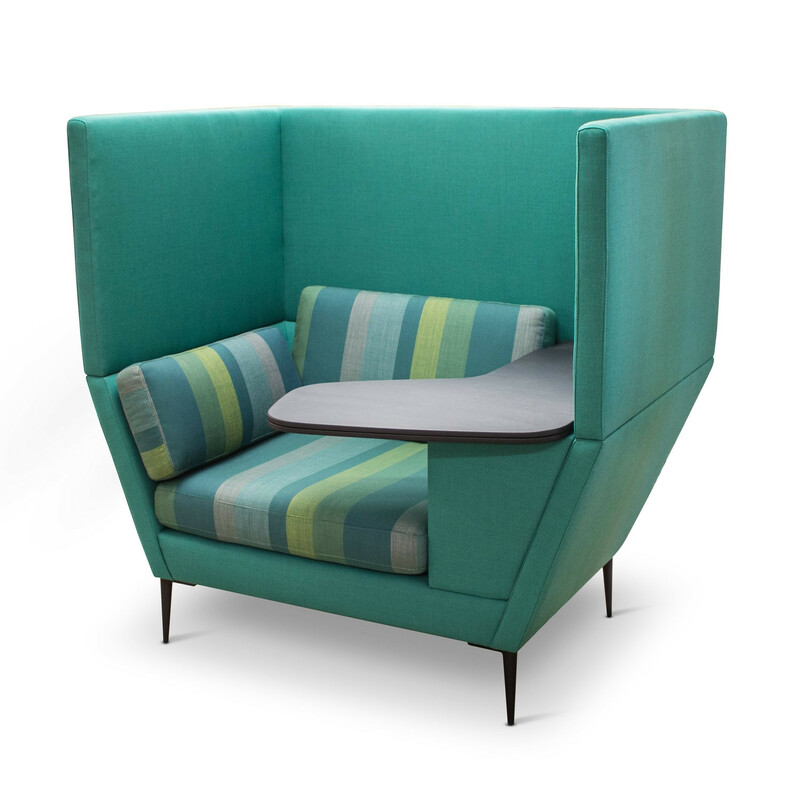 The high back and arms create a satisfying level of acoustic privacy that is conducive to focused work. View more furniture by Cambridge Park furniture. You are requesting a price for the "Quiet Workstation Armchair"
To create a new project and add "Quiet Workstation Armchair" to it please click the button below. 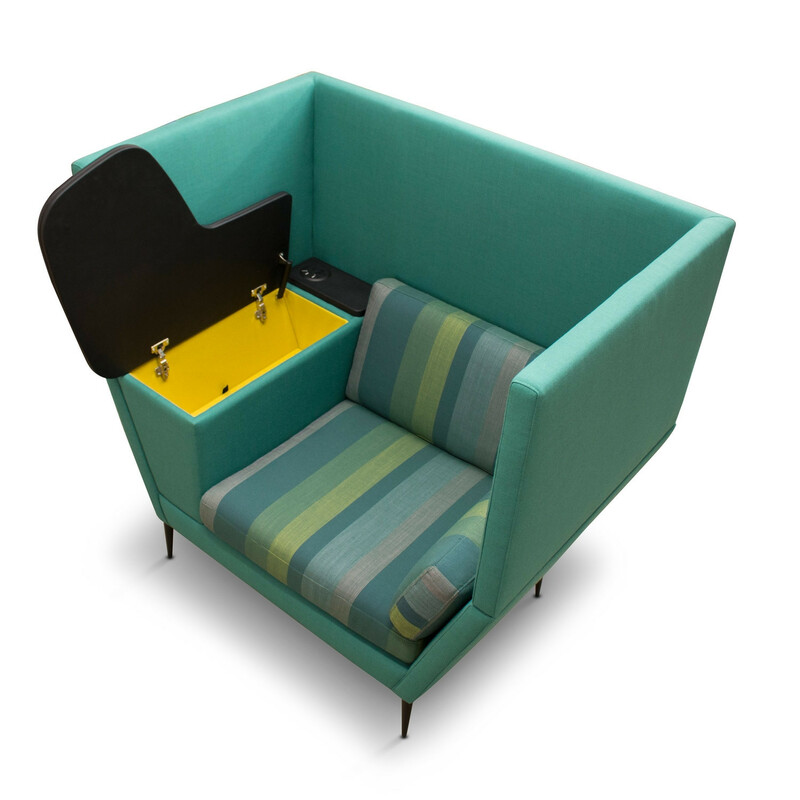 To add "Quiet Workstation Armchair" to an existing project please select below.